Different Designs Glitter Iron-on Transfer Decals, you get 50 assorted in 4 glitter colors, over 250 decals. Ready to apply with Home Iron or Heat Press on your own clothing, NO Sewing required. Screen Print Iron-ons durable and feel soft, print on ALL Color Fabrics ( Black included ), work on Cotton, Poly, and Blends. Machine Washable. Ship next business day. Product 50 assorted Glitter Iron-on Decals Pack. Over 250 decals total. Type Superglitz Glitter Screen Printed Heat Transfers. 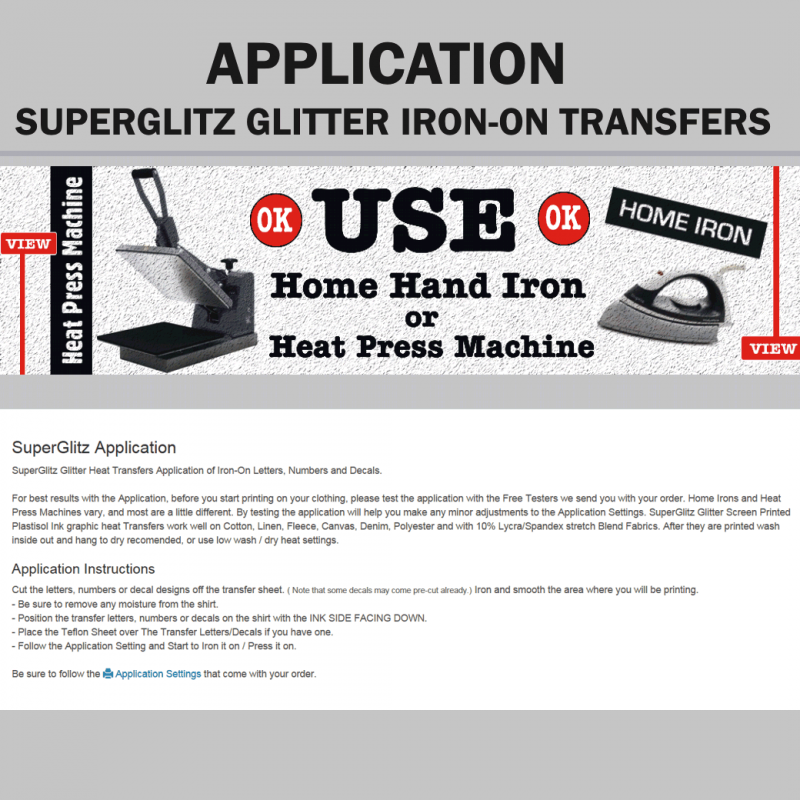 DIY Superglitz Heat Transfers are Easy to Apply with Home Iron or Heat Press. Work on All fabric colors, on Cotton, Polyester and Blends. No sewing required. Application Instructions and Free Tester Included. Color Choice Silver, Gold, Red, Pink Glitter.